Betting tips, enhanced odds and preview of night eight of the Premier League darts. These two looked to be evenly matched and that’s represented in the market. They’ve both won just twice during the Premier League this year, but it’s Michael Smith who leads the head-to- head record 11-5. However, he was knocked out in round two of the European Tour at the weekend, whereas Gerwyn Price comes in here with better form having got to the quarters in Leverkusen, only to go down to the eventual winner van Gerwen in the final leg. Therefore, with little to separate them, we’ll take a chance on the draw. No contender has won a match in seven attempts at this season’s Premier League, as even the previously winless RVB was able to overcome Maxx Hopp last week. This looks a tough ask for Dimitri van den Bergh, who tends to struggle in ranked events, winning only 59% of his matches. 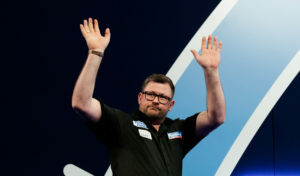 That compares to James Wade’s 70% and the Englishman is really living up to his ‘Machine’ nickname this year with a 98 average last week in his draw with Peter Wright, as well as a quarter-final run in the European Tour. Rob Cross has firmly established himself as standout 2nd best player in the world behind MVG. The Englishman made the final of the European Tour at the weekend only to lose to an inspired van Gerwen 8-6, but he has the upper hand on the Dutchman in this competition as he tops the table after 7 weeks, winning five of his matches. Suljovic also lost the MVG in Leverkusen, averaging just 88 in defeat, and overall this year the Austrian is averaging 96.58, but that pales in comparison to Cross’ 100.28, whilst the favourite also leads the head-to-head 4-2. Peter Wright has often been a bogey opponent for Michael van Gerwen, with the Dutchman only winning four of his last nine against Snakebite. 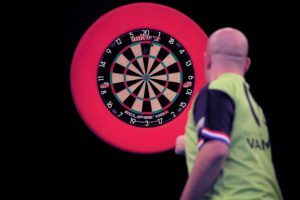 However, the Englishman isn’t in the best of form, winning just twice in the Premier League and only averaging 95.65. in comparison, MVG’s average is 101.09 and he bounded back emphatically to his defeat to Daryl Gurney last week by winning the European Tour with an outstanding tournament average of 101.18. For the first time we weren’t rewarded for taking on Raymond van Barneveld as he picked up his maiden win in this year’s Premier League. However, it was against a contender and he only averaged 90 in doing so. It was a return to type with a 1st round exit in the European Tour, averaging only 91.46, so once again we’ll take Barney on. Daryl Gurney impressively came back from 2-0 down to beat MVG last week and followed it up by making the quarter-finals in Leverkusen, so his tail is up. What’s more, he’s averaging 99.40 overall in the Premier League, compared to RVB’s 92.21, and he beat the Dutchman in their last meeting 7-3.